Full of vibrant life and rich in culture, Healthy Community is enthusiastic to be part of Downtown Jackson’s revitalization. This renaissance community is infused by new development to spur vitality. Perhaps you may live, work, or play in downtown Jackson, or experience a combination of all three. You will fall in love with how Healthy Community creates a lifestyle community in which it is easy to do all three. Part of the attraction of a Healthy Community is the neighborhood amenities. 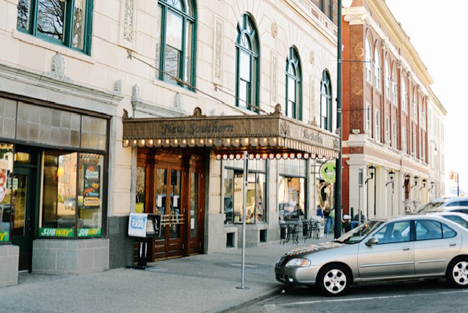 The area is also home to an array of visual and performing arts organizations, galleries, museums, theatre, a professional symphony, and a variety of live music venues. Assorted dining options add flavor to the neighborhood. 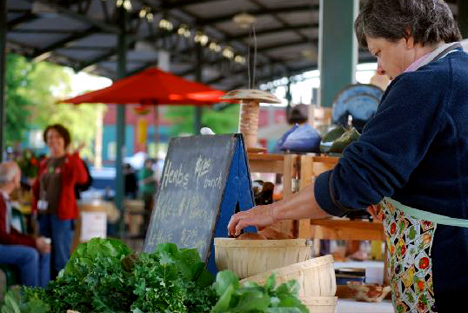 The Downtown Farmer’s Market provides year round fresh selections. Click the banner to the left to read more about Center City. 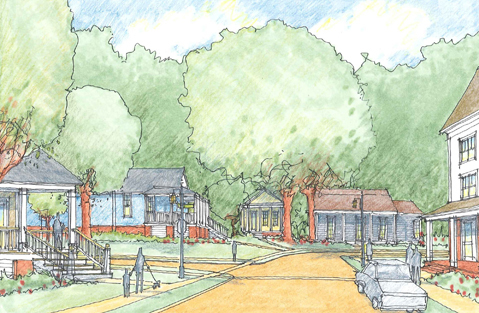 Jackson Walk, a Healthy Community Development, creates a return to neighborhood living. The inclusive 17-acre site is a gateway project that infuses new homes and commerce in Downtown Jackson with a shift to wellness thinking. At the heart of the neighborhood, the Jackson Walk Development aptly engages residents, health and fitness enthusiasts, shop owners and visitors. With pedestrian paths re-connecting downtown and mid-town neighborhoods, Jackson Walk is an active destination and features an integrated mix of commercial, retail and residential development among a friendly park-like setting. Click the banner to the left to read more about Jackson Walk. In cooperation with the City of Jackson’s Community Redevelopment Agency (CRA) and Jackson Housing Authority/Community Development, Healthy Community, LLC has implemented the Neighborhood Stabilization Program (NSP). Healthy Community works with such community organizations and educational institutions, The Lambuth Area Neighborhood Association and Lambuth University, to maintain a positive reduction in neighborhood deterioration while sustaining and increasing the values of the city center. Neighborhood revitalization provides for new, infill homes constructed on existing vacant land. Additionally, renovations bring new life to the existing homes and provide for reuse of existing infrastructure with integrated green building principles. Home ownership is encouraged. Residences are designed to create a pleasant streetscape that invites home ownership. Click the banner to the left to read more about the Lambuth Area.